Cameroon have been stripped of hosting next year’s Africa Cup of Nations (AFCON), says the Confederation of African Football. African football’s governing body (Caf) says it is because of delays in the progress of Cameroon’s preparation for the tournament, due to start in June. Officials made the decision at a meeting on Friday in Accra, Ghana, that lasted more than 10 hours. Caf president Ahmad Ahmad says it will work to “determine a new organising country by the end of the year”. 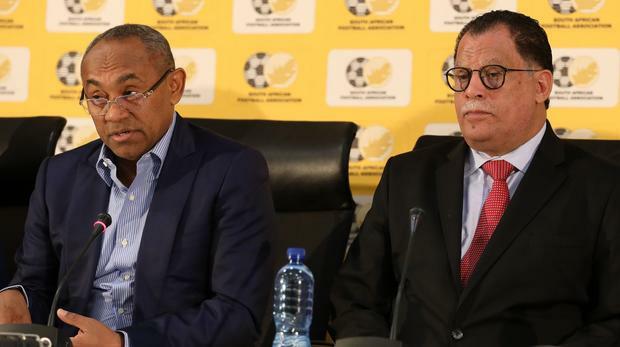 In a statement, Caf said “a number of compliance conditions have not been met” and it did not want to expose the Africa Cup of Nations to “any issues that could impact on the success of the most prestigious African competition”. Caf added postponing the tournament was not possible due to contractual commitments. The tournament is set to be the first held in June and July and will be expanded from 16 to 24 teams. Ahmad said last year that Cameroon still needed “to convince Caf of its ability” to host the event, with the country playing down fears sanctions would be imposed if preparations were deemed to be behind schedule. But in August the chairman of Caf’s Nations Cup organising committee, Amaju Pinnick, said “nobody is going to take it away from Cameroon”. BBC Sport understands Morocco – having stepped in to hold this year’s African Nations Championship after Kenya were deemed not ready – South Africa and Egypt are all under consideration as replacement hosts. Caf added that “Cameroon remains a serious candidate to organise a future edition”.